What sunglasses do you choose to go on a bike? In Root we love the bicycle, it is a healthy, ecological, sustainable and economic means of transport, valid to travel daily both in the city and in rural areas and also, of course, to give pleasant leisure trips alone, with the family , or with friends. In Europe its use is very widespread, becoming in some countries like Switzerland, Germany or Holland one of the main means of transport, and in some countries of Asia it is even the main means of daily transport. Enjoying the bike every day requires only having a bike and taking into account some simple safety measures, such as wearing comfortable clothes, a helmet and good sunglasses that, in addition to protecting our eyes from the agents and particles present in the air that at a certain speed they could damage them, be comfortable, light and that they offer us a clear vision without brightness. 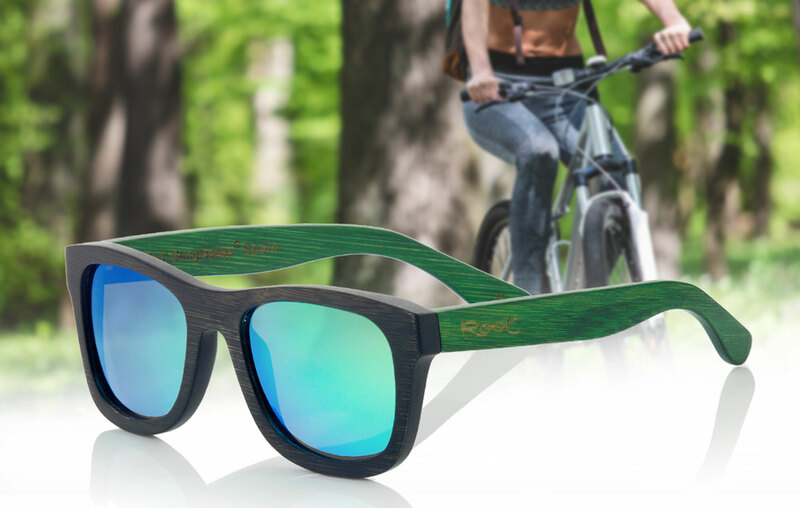 The wooden glasses are perfect for the bicycle, since they are ultralight with only 30gr on average. Who has tried a wooden glasses does not want anything else, it is not only an aesthetic question, the lightness of the wooden frames makes a huge difference with other types of frames. The polarized lenses offer a clear vision and reduce glare and if they also have hydrophobic coverage they will be more resistant to scratching, which makes this type of lenses the ideal ones to ride a bike. Whether you are a regular user of the bicycle, or if you use it sporadically, choose a lightweight, comfortable sunglasses with polarized lenses and a hydrophobic coating whenever possible to enjoy a clear vision with bright colors and enjoy the activity No risk to your eyes.